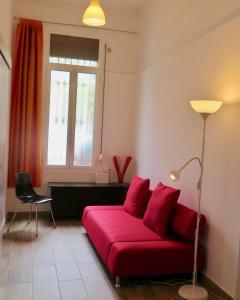 Located 150 metres from Barcelona Clot-Aragò Train Station, Clot MiraBarna Apartments offers free Wi-Fi and free public parking nearby. 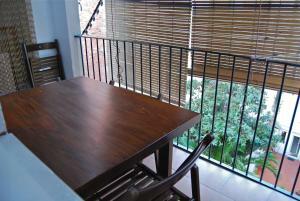 Some apartments have private terrace and others have balcony with city views. 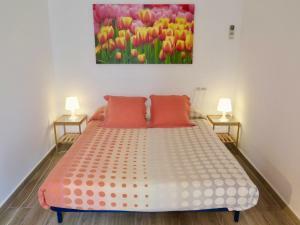 Located in a same building, each apartment at Clot MiraBarna Apartments boasts a lounge area with sofas and flat-screen TV and a fully equipped kitchen including a microwave, oven and coffee machine. 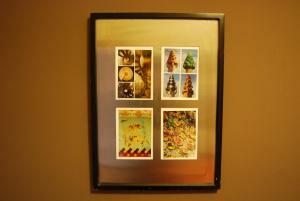 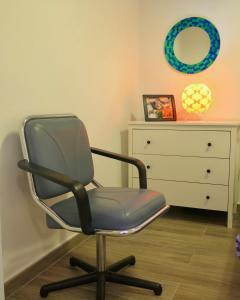 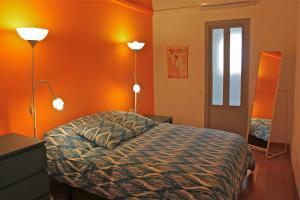 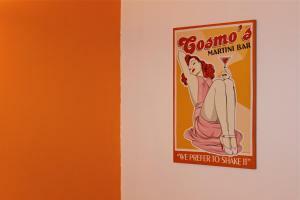 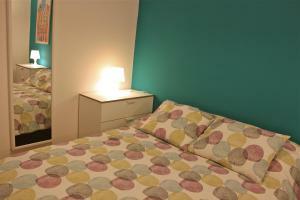 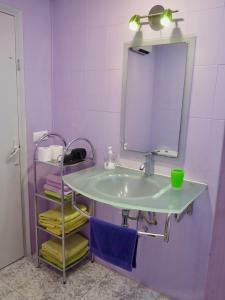 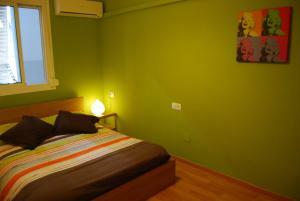 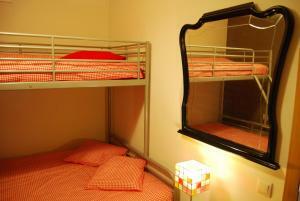 Bed linen, towels and iron facilities are also provided. 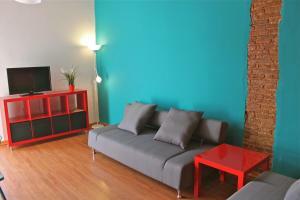 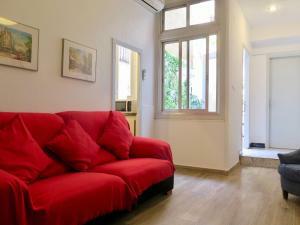 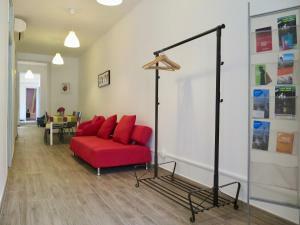 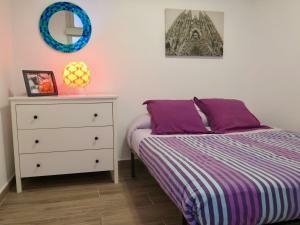 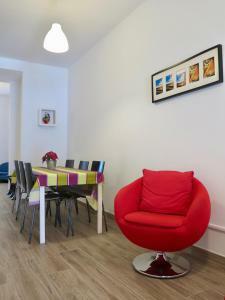 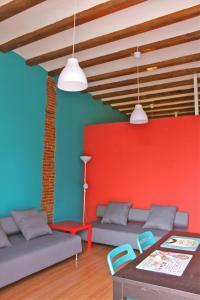 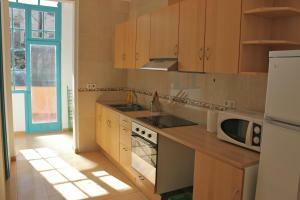 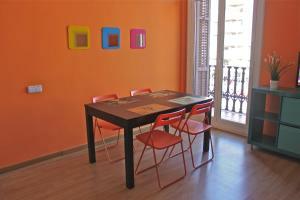 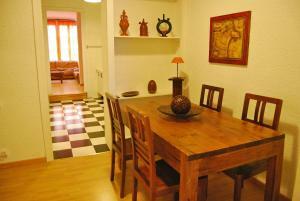 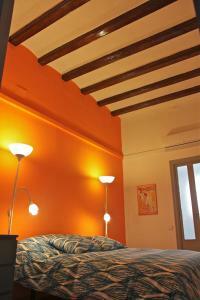 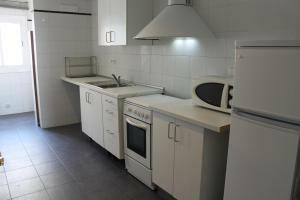 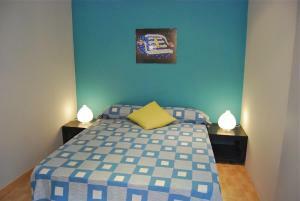 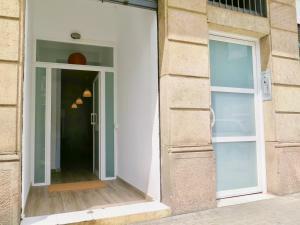 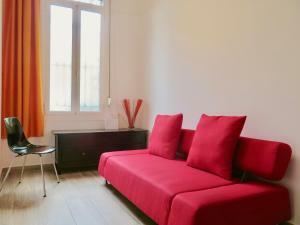 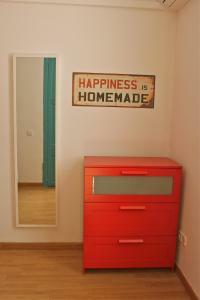 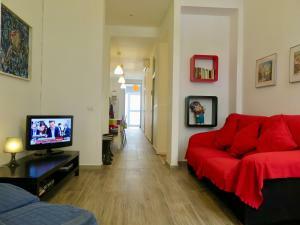 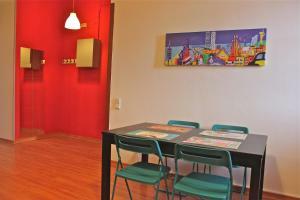 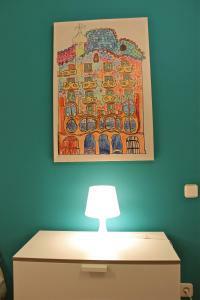 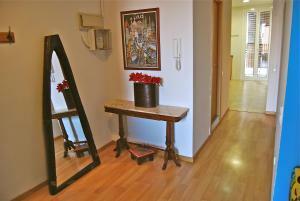 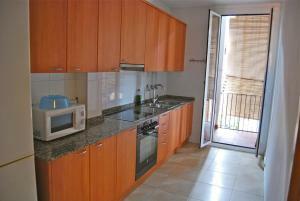 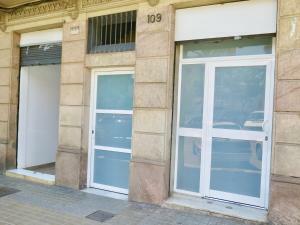 Clot MiraBarna Apartments are located in a residential area surrounded by all kind of shops and supermarkets. 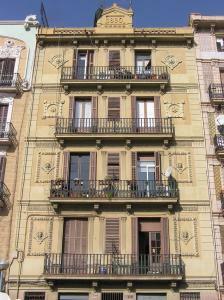 Les Glòries Shopping Centre is 800 metres away and you can also find fresh produce at Mercat del Clot a 10-minute walk from apartments. 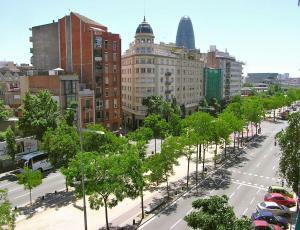 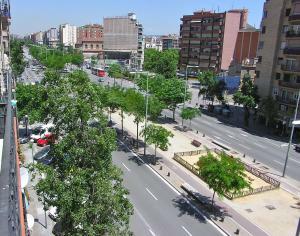 Well communicated by public transports to the city centre, apartments are 20 minutes by metro from Ramblas and Plaza Catalunya. 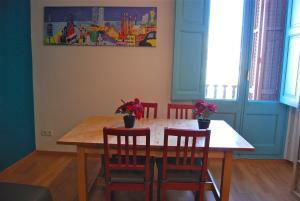 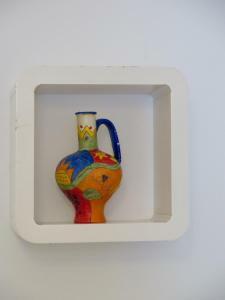 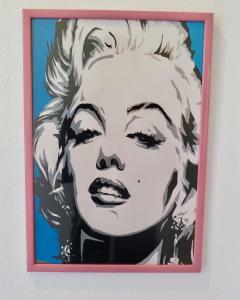 You can walk to the Encants Vells, the city's biggest flea market and to the Torre Agbar in 5 minutes. 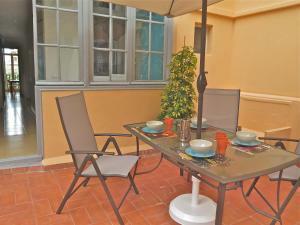 Set on the 1st floor, this air-conditioned apartment boasts a private terrace with a pleasant setting area for al fresco dining. 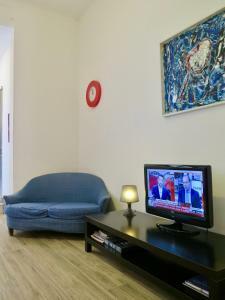 The large living room features a double sofa bed, a flat-screen TV and the well equipped kitchen includes a microwave, coffee machine and fridge. 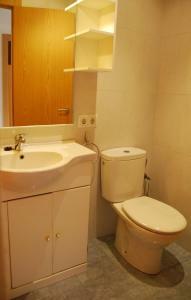 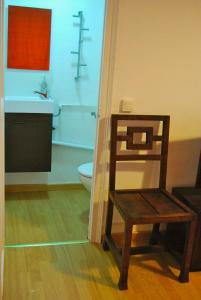 The private bathroom comes with bath and hairdryer and an extra toilet is available on the terrace. 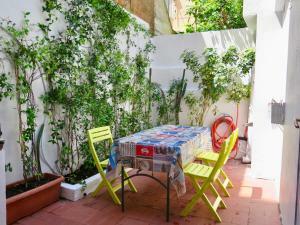 Set on the 3rd floor, this air-conditioned apartment boasts a balcony with street views. 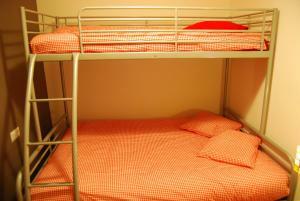 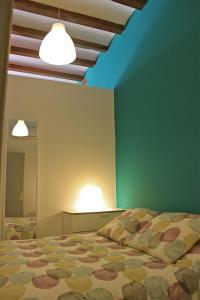 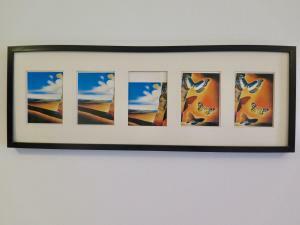 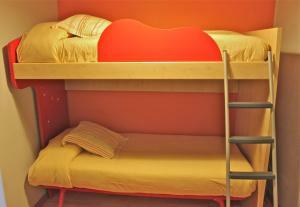 There is 1 double bedroom and a second bedroom with 1 double and 1 single bunk bed. 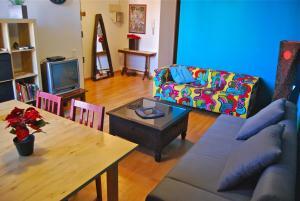 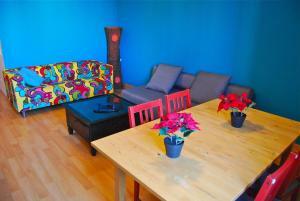 The living room boasts a single sofa bed and a TV and the well equipped kitchen includes a microwave and coffee machine. 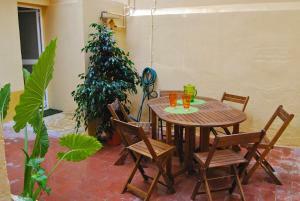 Set on the ground floor, these apartments boast a private patio with table and chairs. 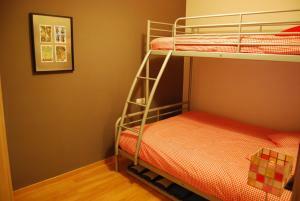 The apartments come with 2 double bedrooms and 1 bedroom with 2 single bunk beds, upon availability and on prior request. 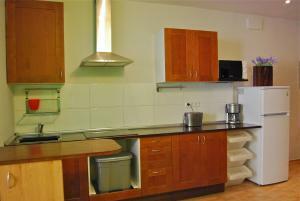 The all have a well equipped kitchen including a microwave and coffee machine and a private bathroom with bath or shower and hairdryer. 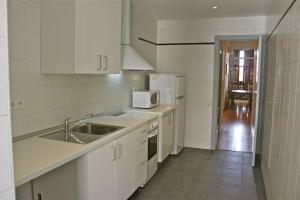 Set on the 1st floor, this bright and spacious apartment boasts a balcony with street views. 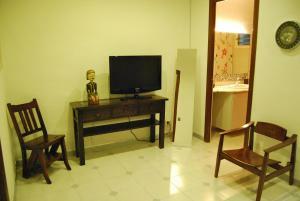 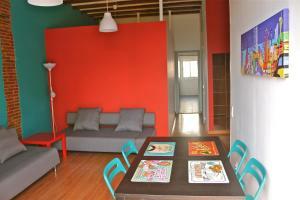 It comes with 1 twin and 2 double bedrooms and a living area with sofa, sofa-bed and flat-screen TV. 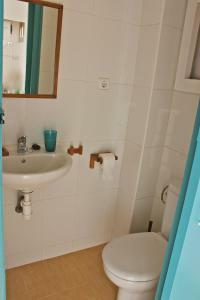 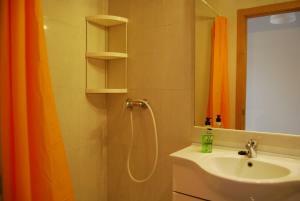 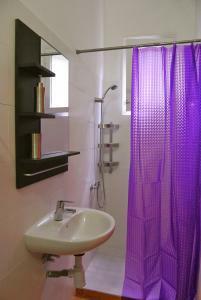 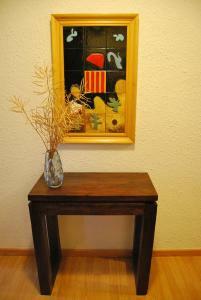 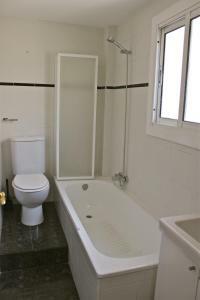 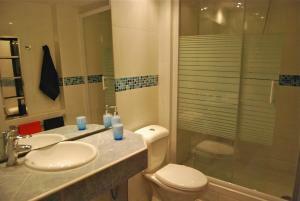 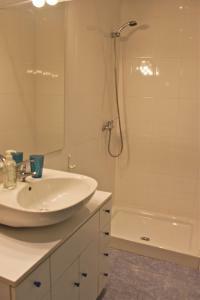 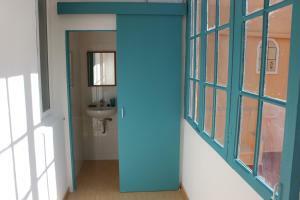 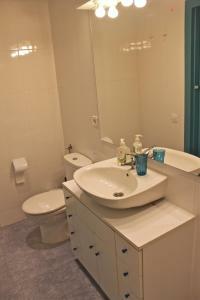 The private bathroom comes with shower and a separate toilet is also provided. 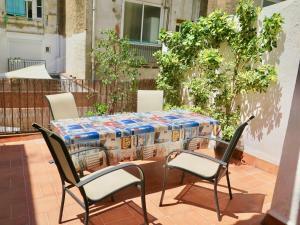 Set on the top floor, this air-conditioned apartment comes with a small balcony with street views. 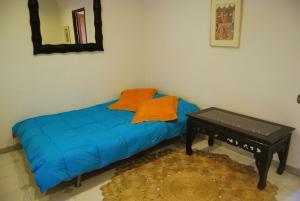 It comes with 2 double bedrooms and a living room with 2 sofa beds and a flat-screen TV. 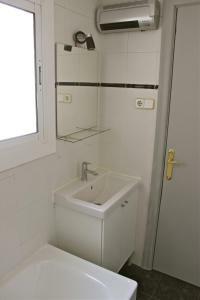 The private bathroom comes with bath and hairdryer. 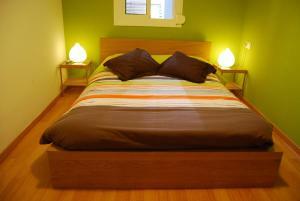 Rate: € 127.67 ... € 127.96; select dates below to get current rates. 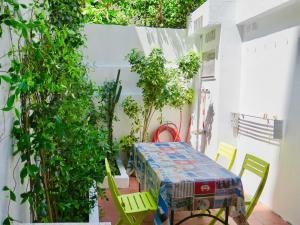 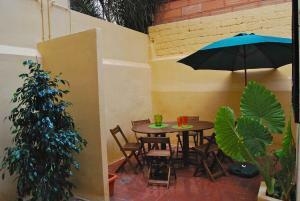 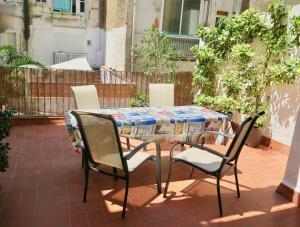 Set on the ground floor, this air-conditioned apartment boasts a private patio with table and chairs. 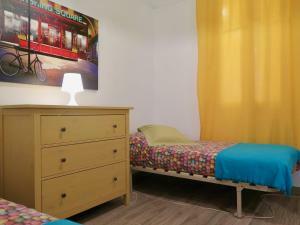 This apartment comes with 1 twin and 2 double bedrooms, a living room with sofa, flat-screen TV and a well equipped kitchen including a microwave and coffee machine. 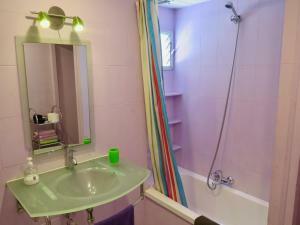 The private bathroom comes with hairdryer and bath. 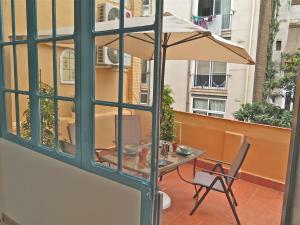 Set on the 2nd floor, this air-conditioned apartment boasts a private terrace with a pleasant setting area for al fresco dining. 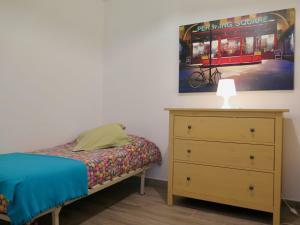 The large living room features a double sofa bed, a flat-screen TV and the well equipped kitchen includes a microwave, coffee machine and fridge. 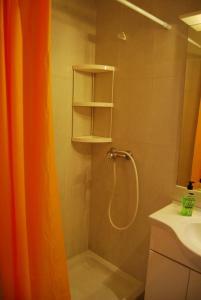 The private bathroom comes with shower and hairdryer. 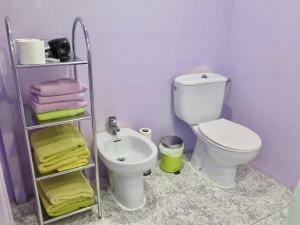 There is an extra toilet. 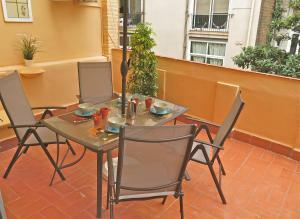 Set on the 3rd floor, this air-conditioned apartment boasts a balcony with street views. 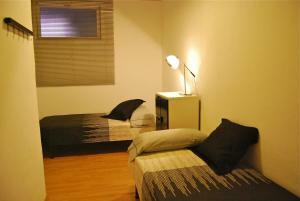 It comes with 2 double bedrooms and a living room with 2 sofa beds and a flat-screen TV. 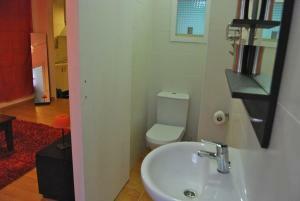 The private bathroom comes with bath/shower and hairdryer. 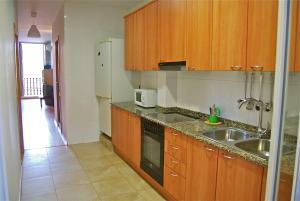 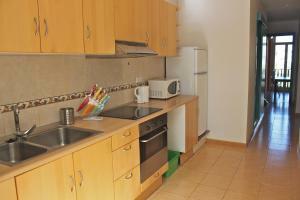 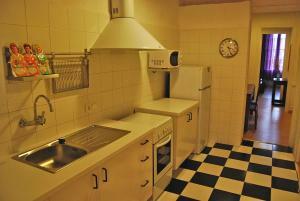 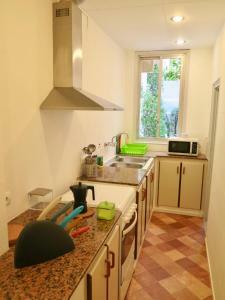 The well-equipped kitchen includes a microwave and coffee machine. 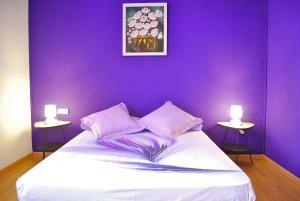 Rate: € 67.50 ... € 128.48; select dates below to get current rates.